Many people suffer from cataracts, which are collections of proteins in the normally transparent lens caused by aging, certain medical conditions, or trauma to the eye. Cataracts can cause blurry or double vision, color distortion, amplified glare, and nearsightedness. These vision impairments often interfere with daily activities, like driving, reading, or working. Fortunately, with new laser technologies used in ophthalmology and ocular surgery, we can remove cataracts safely and accurately, and with less recovery time than patients face following manual eye surgery. 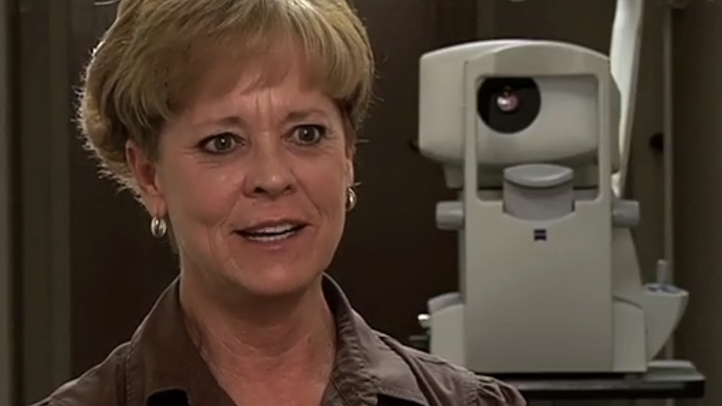 We perform precise, safe treatment for clouded vision using laser cataract surgery at our Bakersfield office. To learn more about improving your vision with laser cataract surgery, schedule a consultation at Southwest Eye Care and Laser today. Laser cataract surgery takes advantage of some of the most advanced tools available to restore your vision. Our lasers emit extremely short pulses of light for better accuracy, speed, and healing. A femtosecond laser is cool, so it disrupts and incises tissue rather than burning through it like a hot laser does. Unlike manual cataract surgery, which uses an oscillating microkeratome razor blade, laser cataract surgery is exceptionally precise throughout each step of the procedure. After you have been thoroughly examined and prepped for surgery, we will first use our femtosecond laser to create limbal relaxing incisions. The corneal limbus is the border between the cornea, the transparent front of the eye, and the sclera, the white of the eye. Using the laser to relax the limbus will change the curvature of your cornea and can also address astigmatism. A laser allows us to correct the limbus safely, precisely, and accurately for greatly improved vision. Dr. Stainer also uses the femtosecond because it reduces the potential for over- or under-correction. Next, we will use the laser to perform a capsulotomy, an incision in the capsule holding the crystalline lens of the eye. Our femtosecond laser makes this process extremely precise. After we remove the diseased lens from your eye, circular capsulotomy will allow your artificial lens to be placed centrally, preventing tilt. Dr. Stainer will use the femtosecond laser to fragment your natural lens before extracting it through aspiration (using fluid to safely draw it out of the eye). Laser fragmentation is a particularly important part of the surgical process, because it is less traumatic for the eye than manual fragmentation. The laser creates fragments 300-500 microns, or millionths of a meter in size, so they can be easily removed. Laser fragmentation heals more quickly and requires less medication than fragmentation performed with ultrasound technology. The final step of the process is completing the removal. This process is much more efficient with laser fragmentation. Faster removal reduces the risk for inflammation to the eye and allows us to use a minimal amount of fluid. Decreased inflammation results in prompt healing, so you can get back to your daily life more quickly, with greatly improved vision. To learn more about the benefits of laser cataract surgery, or find out whether it is right for you, contact our office today and schedule a consultation.